Often the first awareness I have of being in a particular mood is when it is reflected in my dog. Her behavior reflects my tension or my relaxation, my anxiety or my peacefulness, my depression or my happiness. When I am in a bad mood, I often find her hiding in her crate, avoiding me. Seeing this makes me feel terrible. I can then put things in perspective and relax, much to the relief of the rest of my family. My dog, acting as a mirror, has helped me to see myself. Dogs act as mirrors in many ways. Our choice of dogs tells us something about ourselves. Why is it that some people choose to rescue dogs from Humane Societies, while others choose to buy expensive, purebred dogs? And what about your choice of breed? My past choices of a Borzoi and a Greyhound as pets reflected my desire to project to the world an image of elegance and sophistication. My current choice of an Irish Setter mirrors my desire to have more fun and lightheartedness in my own life. My husband, on the other hand, chooses a Belgian Tervuren, a breed that is not readily recognized and, in fact, is often mistaken for a Collie/Shepherd mix. This reflects his distaste for displays of wealth (besides his smart choice of a more trainable breed). Both of our choices of unusual breeds reveal a mutual desire to be seen as a little different from other people. A dog's sensitivity makes him a wonderful mirror of your moods. The way you have raised and trained him also reveals something about yourself. Training your dog magnifies the mirror effect because your relationship is intensified by the communication effort. Are you apt to lose your temper with your dog, or are you quick to blame him when he doesn't understand what you want? When you become frustrated, do you give up, or do you tend to resort to physical force? 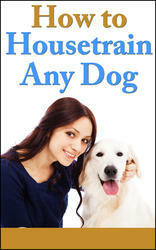 Are you afraid that if you are assertive in your training efforts your dog will not love you? What does the way you train your dog tell you about yourself? As an obedience instructor, I see many examples of the mirror effect. For instance, there is always a strong correlation between well-behaved dogs and well-behaved children. The dog who cannot concentrate and is easily distracted is a clear reflection of his owner, who arrives late to class, has forgotten her dog's training collar, and misses half the instructions because she is talking to someone else. The easygoing dog has an equally laid-back owner. A nervous dog mirrors tension within the family. Our dogs exhibit the effects of stress. They reflect erratic, hectic lifestyles and stressful environments in their behavior and with physical problems. Like their human owners, dogs can develop intestinal problems or nervous behaviors. Signs of stress in your dog are warning signals that you should heed for your own health, as well as your dog's. A simple thing like a long walk may alleviate stress for both of you. This ability of dogs to act as mirrors is clearly seen in the story of Lisa, a teenage girl, and her German Shepherd, Mandi. Mandi was three years old and not housebroken, even though she had always lived indoors. As I talked with Lisa about this, she told me of the inconsistent and confusing attempts of her parents to housebreak the dog. Her father's idea of housebreaking was to hit Mandi when she relieved herself in the house. Lisa's mother felt sorry for the rough treatment Mandi received from her husband and tried to compensate by adopting a permissive attitude toward Mandi's accidents. To complicate the matter further, Lisa's mother had told her husband she didn't want him to hit the dog, so he only punished Mandi when his wife was not around. Lisa realized that Mandi's housebreaking training was a reflection of her own upbringing. As a result of this inconsistent and confusing treatment, Mandi and Lisa had similar personalities; they were both timid, passive, and insecure. Using her dog as a mirror, Lisa was able to understand herself. When Lisa's mother died, Lisa came to live with my husband and me. Mandi was placed in a loving home. She is now happy and housebroken. Lisa is a beautiful, confident young woman who now has her Animal Health Technician degree and received an award when she graduated for being the best all-around student in both academic and extracurricular activities. Positive reinforcement, consistency, and unconditional love worked wonders for both of them.